Fashion - quality fabrics, talented designers. The Scottish fashion industry is internationally recognised for its talented pool of contemporary designers. Our iconic tartan and tweed fabrics are in demand, from locally based designers to those in the world’s most famous fashion houses. Textiles including tartan, cashmere, tweed and knitwear are all synonymous with Scotland and quality. 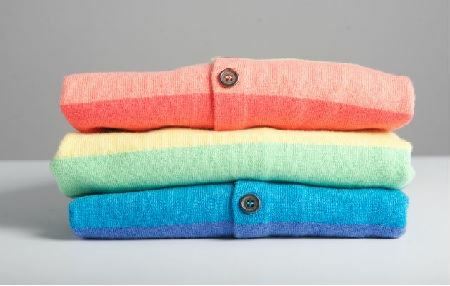 Scottish Cashmere can be supplied as spun yarn, knitted and woven fabrics, and finished garments. The cashmere fibre is derived from the hair of the Cashmere goat, and 60% of the world's supply comes from China - specifically, Inner Mongolia. Its rarity is due to the remote regions of production, and the labour-intensive skills required. In this, Scotland has unrivalled expertise, with many of the manufacturing processes used around the world today having started in Scotland over 200 years ago. Did you know - if it's not made in the Outer Hebrides, it's not Harris Tweed? Harris Tweed is hand woven by islanders in the Outer Hebrides of Scotland. The cloth is protected by the Harris Tweed Act of Parliament 1993, which states that only authentic Harris Tweed can bear the Harris Tweed 'Orb' mark. 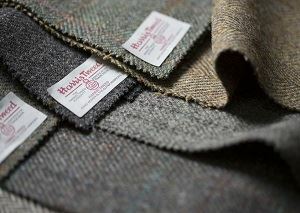 If you're looking to source a Harris Tweed supplier, get in touch with Textiles Scotland.